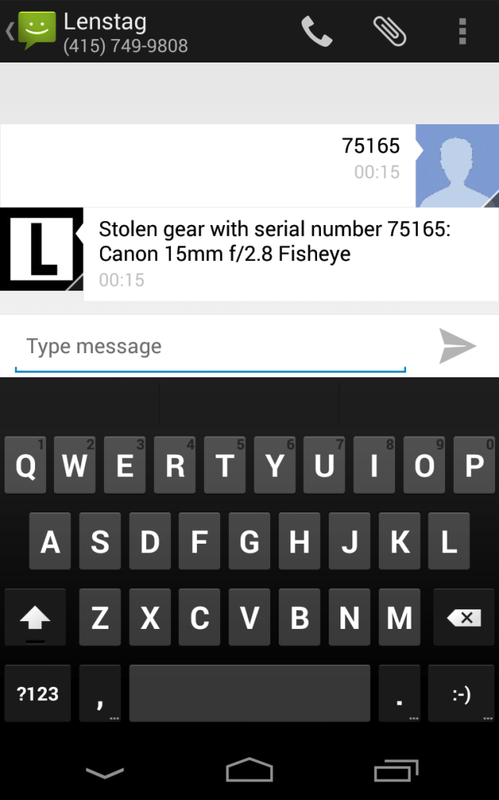 We have released a text-to-check feature to help further combat gear theft. You can now text a serial number to +1-415-749-9808 and get matching items back that have been flagged as stolen (or an all-clear if they aren’t). This is especially useful when making second-hand gear purchases. Standard text messaging charges may apply but we do not charge for this feature here on Lenstag.